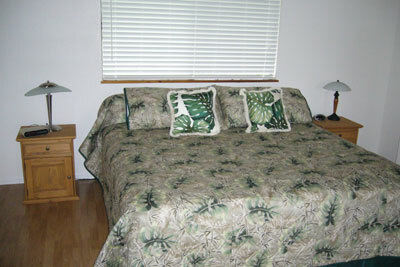 Contact: Karen Bade at 808-933-9600 or kbade@clarkhawaii.com. 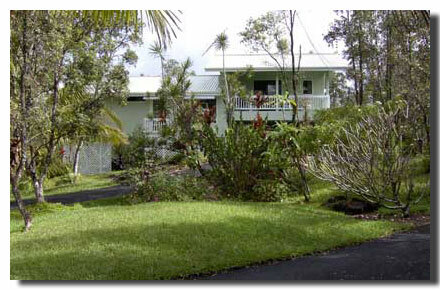 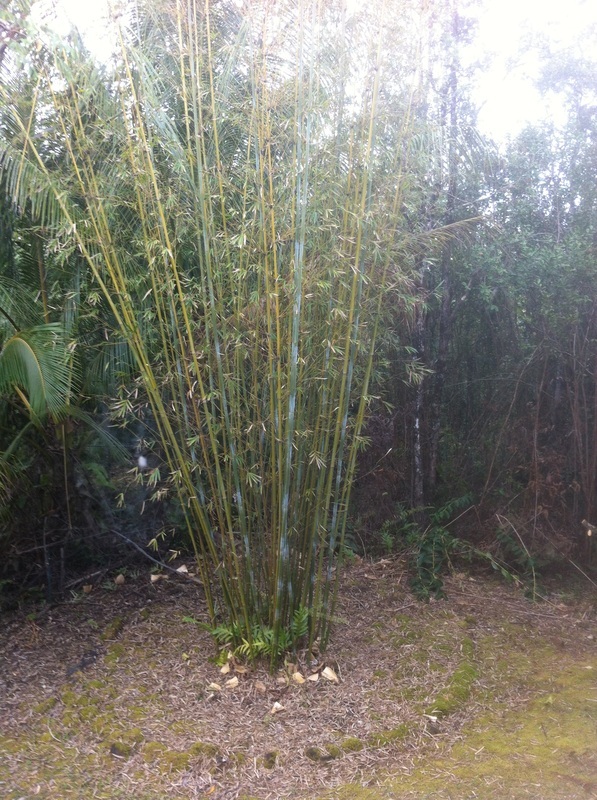 The one-acre property is located in Hawaiian Paradise Park about 20 minutes from Hilo. 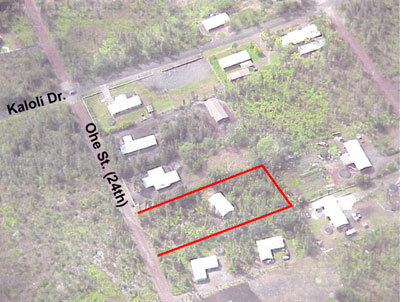 This home has an excellent location off Kaloli Drive on 24th Avenue ('Ohe Avenue), which is paved. 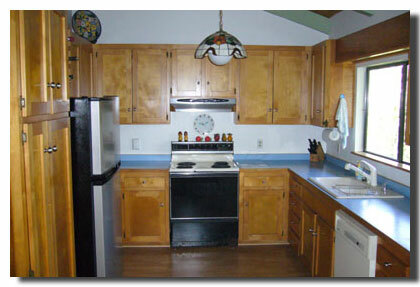 Open living, dining and kitchen area are on the main floor level. 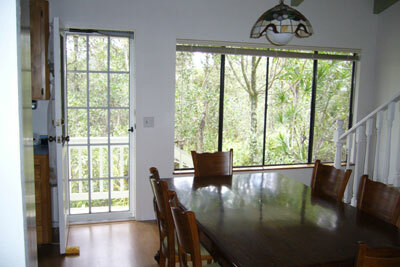 You have beautiful views through both the huge living room and dining room windows. 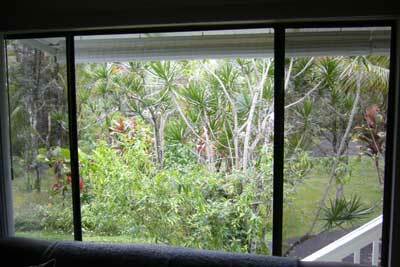 Large windows throughout the home allow for lots of light and wonderful cross breezes from the trade winds. 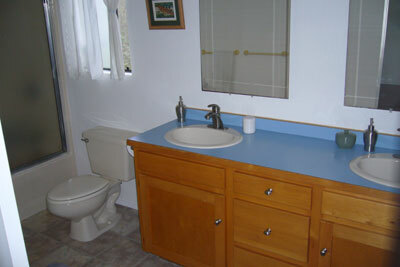 This level also has two bedrooms with closets, a hallway closet, the guest bath with shower/tub and storage closet under the stairs. Up the stairs to the second level are the large master bedroom, lanai, and master bath. Imagine driving up the circular driveway lined with Samoan and Areca palm trees, through tropically landscaped grounds to your private and secluded Hawaiian vacation retreat. 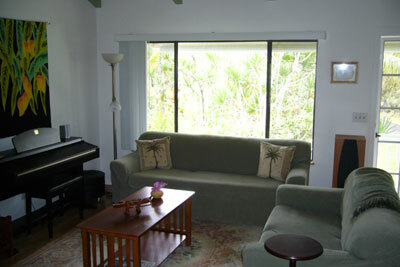 Bamboo House invites you to kick off your shoes and relax in our tropical, 3 bedroom, 3 bath hideaway. 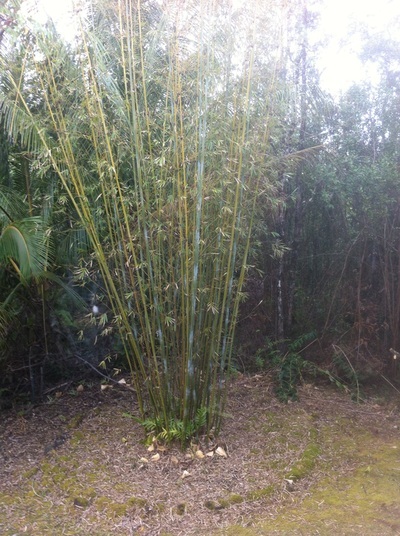 What really distinguishes this one-acre property is that when the house was built, the builder cleared a path only for the circular driveway and house pad, following the natural swells and undulations of the lavascape. 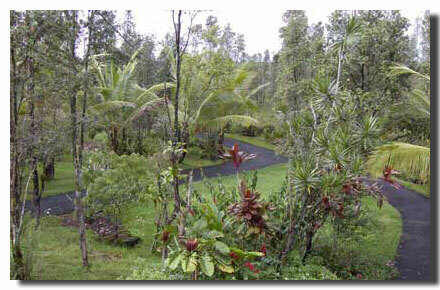 Most lots in Hawaiian Paradise Park are cleared and leveled by the builder, so this is a very special place. 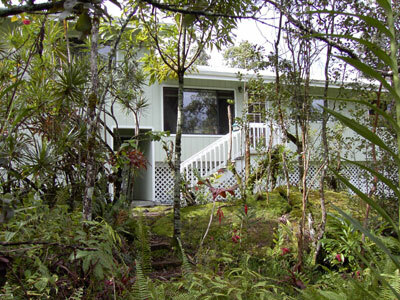 Consequently, the house is very secluded and nestled in the Hawaiian forest. 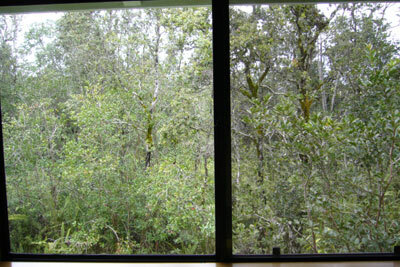 There is a lot of privacy and the landscaping is amazing. 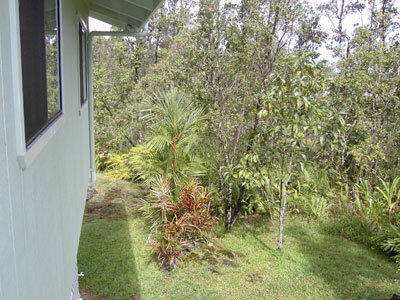 On the ground floor level you will find the covered carport, wash room (with washer and dryer) and a bathroom with shower. 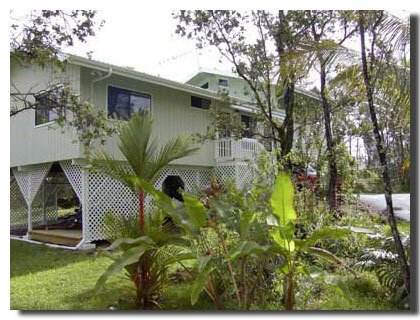 The storage area under the house is large enough to store bikes and other large items.